At Busy Bee Business Center we can help you with your copying jobs or you can make your own copies. 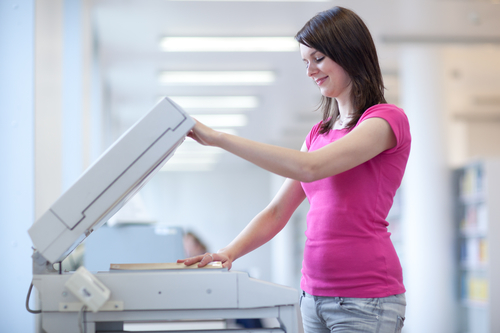 Our fast, high quality copiers reproduce your documents in crisp black print or in full color copies. Send a print job from your email to ours or use a document to make copies. We have the ability to make copies in letter size, legal size or tabloid size. We can also trim pages to the exact size you need for special jobs. Letter size is 8.5 x 11″, legal size is 8.5 x 14″ and tabloid is 11 x 17″. We can also print onto colored paper or on heavy card stock for special projects you have! Remember, there are many more items beyond simple “pages” that you can make with copies or prints! 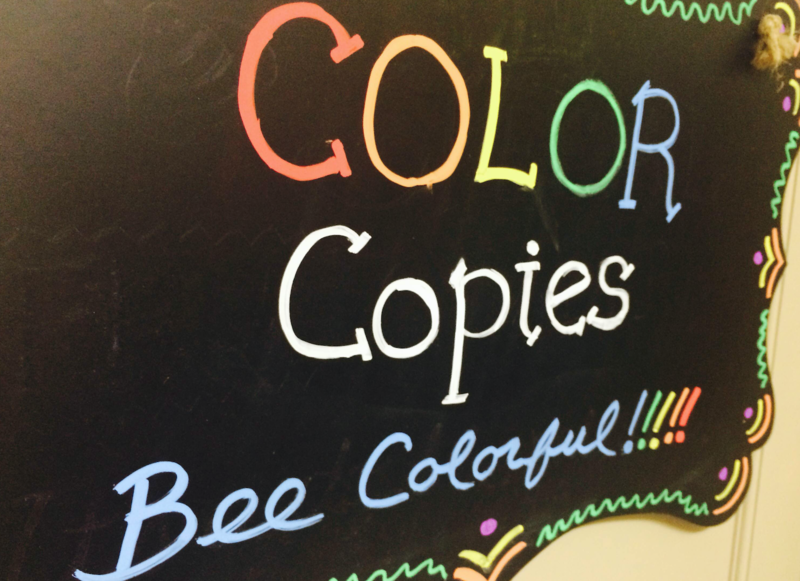 What are some of the things you can create with our B&W copier or full color copier? How about creating your own party invitations, postcards, or holiday greeting cards? A hand-drawn picture by your young child can become a keepsake Christmas card or fun birthday party invitation. You can make copies of photos or maps, and many other items! And for those with businesses, the list is endless! Table-top sized promotional signs for special offers, menus, or sales, or custom sale tags. Of course, we can help with your high volume jobs as well. Print 100, 500 or 1000 copies at great rates. Give us a call for pricing! If you would like help with creative ideas, we offer full service graphic design services as well. Come by and see our sample book of brochures, business cards and rack cards. Too busy to come by and make your copies? email us your documents for printing, simply send them to info@busybeetexas.com. For larger documents or full color jobs that are large, use the link below to upload your file to us. Delivery available most days as well!